Bachelor's graduates are provided with four guest tickets for their ceremony when they register in the bookstore beginning April 18. The ceremony will be held in the Sports Arena (located at E5 on campus map). Guest tickets for general seating in the Sports Arena are required. The arena features a combination of stadium chair and bleacher seating. Barrier-free access and seating are available.  Buffalo State's 146th Commencement celebrating December 2017 and January 2018 graduates and May 2018 and August 2018 degree candidates from the School of Education and the School of the Professions. Doors to venues open at 8:00 a.m. Graduates must report for lineup by 8:30 a.m. Ceremony begins at 9:00 a.m. and concludes at 11:00 a.m. Graduates and guests meet outside the arena following the ceremony. Live streaming of the ceremonies will be provided in the Campbell Student Union Social Hall (second floor). Each ceremony will be accessible via live streaming on Commencement day via the Booklets and Streaming page.